Sharing Gems is the easiest way to get free Gems in BarbarQ battle arena mobile game, but it is really a let down if you can't even share or receive your Gems due to errors! - Each time you share, you'll get 10 Gems. - You can get at most 50 Gems every day through sharing. - The sharing at the end of a battle applies to these rules too. FAQ: Facebook is Not Installed!? - If you are having this problem or error then it has something to do with your game and Facebook. - Click your Avatar to view your Personal Info. - Bind your game to your Facebook account to save your progress and enable Facebook sharing. - I had this problem before, and I was able to fix it by re-installing my Facebook App (not the lite version). - Yes, I have an existing Facebook App (updated), but unfortunately, the game won't recognize it because it doesn't have the "required" function that will let the game share a post to Facebook. - After re-installing, make sure that you log-in using your BarbarQ linked account. FAQ: No Gems Received After Sharing!? 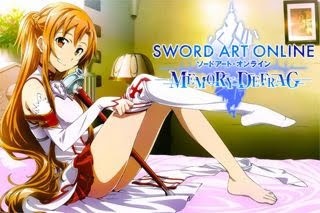 - Using Facebook Shares will net you some free Gems (up to 50 Gems per day, 10 per share with 10 minutes interval). Purchasing the Monthly Card will shorten the interval to 5 minutes. 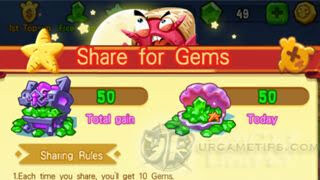 - So ideally, you should post your shares every after 2 full battles to receive Gems. FAQ: Still Got No Gems After Posting!? - Try to enable "Auto Rotate" in your device to solve the problem. - If you are using an Android emulator, you can turn on "Auto Rotate" from the Accessibility option under Settings. - If still not working, try to share the post then delete the image, write any comment then post. - Try to minimize the game app then open your Facebook App. - Go back to the game and try sharing again. FAQ: I'm Still Having Some Trouble!? - Alternatively, you can also send a Private Message to their Official Facebook Fan Page, with your problem (also include your Player ID and Country).